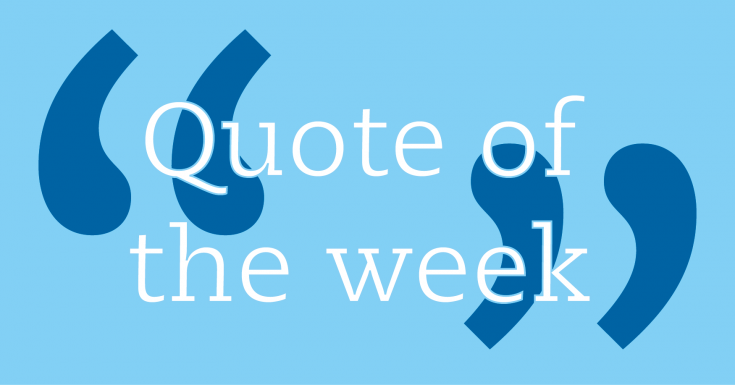 Every week in Newsline we have a couple of quotes of the week on topics related to secularism. Please feel free to share these images. We would never accept hospitals or trains that were segregated by faith. Why schools, when they're so important in raising our future citizens? In America we don't worship government, we worship God! If a religious text that calls for the death of atheists & blasphemers isn't hate speech, then neither is condemning it and calling it evil. You can either have a country where you throw away the idea of integration and you publicly fund schools that segregate children, or you can embrace integration and no longer support using taxpayers' money to segregate children by faith. 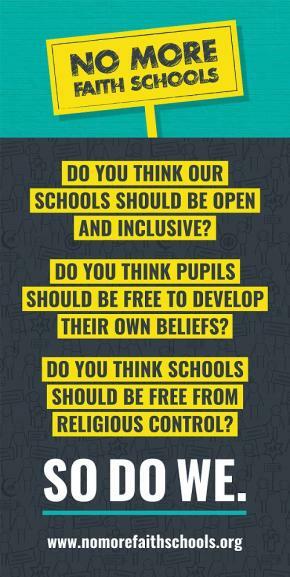 We believe it is important to enable more faith schools to be set up and more faith schools to expand. Secular democracies are not made overnight. I stand on the shoulders of the suffragette giants who fought robustly for equality. It is time for the silent majority to do the same. The 'real' nature of a religion, if such a concept has any meaning at all, is hard for an outsider to determine, and certainly well beyond the remit of a more-or-less secular state. 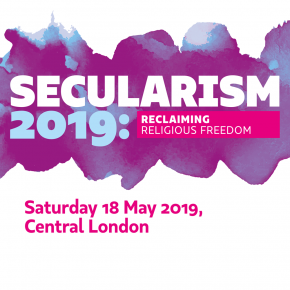 Secularism is a priceless objective to strive for and defend given the grim challenges it faces from non-state actors, often with the connivance of the state. A lot of people have private views deriving from their religion, but they have to put these to one side when they're enacting public policy. The Christian nation concept doesn't celebrate the remarkable achievement of this nation, a story of religious freedom resting on a secular state that does not presume to meddle in private matters of theology. Instead, it buries that success story under a pile of far-right politics wedded to often dangerous forms of religious extremism and nationalism. I have always insisted upon the highest standards of holiness of life from all who are ordained.
. No lessons appear to have been learnt from the problems faced by the counter-terrorism bill earlier this year, after lawyers failed to agree a viable definition for extremism, let alone what legal powers there should be to tackle it. British Evangelicals hold their religious identity very strongly, for nearly all, being a Christian is the most important part of their self-representation. But they are distinctly lacking a political identity. They locate across the ideological spectrum and affiliate with a variety of political parties. Most significantly, their religious identity does not inform their political attitudes, partisan affiliation, or voting behavior. The religious and the political exist in separate spheres. This isn't a battle between East and West, and this isn't a battle between brown people and white people, nor is it a battle between non-Muslims and Muslims. This is a struggle between, on the one hand, those fighting for human rights and humanitarian values, and on the other hand, those who favour regressive values and theocracy. Among the great advances of Enlightenment thinking is the principle, exemplified in the Virginia Statute for Religious Freedom drafted by Thomas Jefferson in 1777, that there must be no religious test for public office. Politicians of all faiths and none contest seats in parliament. That's as it should be, up to but not beyond the point that religious believers claim privileged insight into temporal matters. The faithful are entitled to a hearing for their case but they are not entitled to respect for their convictions. They need instead to defend their beliefs in the public square; unfortunately for himself and his coreligionists, Mr Farron wasn't up to it. Almost 30 years on from the Rushdie affair, we remain stuck in a vortex of outdated multicultural, multi-faith policies and our ignorance about Islamist extremism remains unchallenged. In Britain neither canon law nor Sharia should ever be the basis for a manifesto idea. Politicians who refuse to talk about Islamist extremists aren't protecting minorities but treating all Muslims as if they were extremists. I could not continue partaking in an event which was discriminatory on the grounds of both religion and gender. Naz Shah, on her decision to leave a Bradford election event only open to female Muslim candidates. 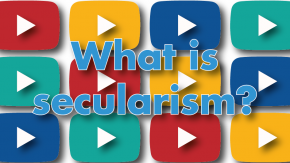 Secularism is essential because it is only with a secular state ideology that tolerance of differences in beliefs and persuasions can exist. Political power doesn't give you the right to impose your beliefs on the electorate. Public funds are being used to separate children by faith. What could be more damaging to integration? Faith schools are also segregating children by class. A quarter of faith primary schools have fewer disadvantage pupils than those of no faith. Faith schools are the antithesis of a secular society. Separation of church and religion from state is fundamental ... the imposition of religious teachings on day to day life is utterly wrong. My view about how politicians' faith affects their public duties [is that] you should judge them not by what their private faith is but what their public actions are as legislators. Nick Clegg MP, speaking on 'Newsnight' about Tim Farron and LGBT rights.